Thyroid problems can not only make you feel miserable but literally ruin your life. They develop gradually and often over the course of many years so that hypothyroid symptoms slowly taking over and you may even don’t realize that your thyroid is to blame. You may think that you are stressed, or just getting older. You go to a doctor and make a standard TSH test but your lab test results come back normal. You may complaint about your symptoms and that you are not feeling well to your doctor and hear in response that “it all is just in your head”, “you don’t look sick” and you need to “eat less and exercise more” to lose weight. If you are “lucky” your lab test results show that your thyroid is off and your doctor hands you out a prescription for thyroid meds. The problem is that most patients get a T4-only drug such as Synthroid and continue to suffer from multiple hypothyroid symptoms even after getting a hypothyroidism treatment. Sounds familiar? You are not alone… In fact, millions of people worldwide go through the same process and report about similar experience. Sadly, the majority of thyroid patients never get their symptoms relief because they continue to follow the same conventional hypothyroidism treatment that doesn’t really work, do standard thyroid testing that misses so many thyroid imbalances and doesn’t reflect the real picture of what is going on with your thyroid and looking for a miracle drug, supplement or a fix that doesn’t exist. But not you and not today. I would like to invite you to the FREE online Hypothyroidism Workshop: The Right and Wrong Ways To Heal where you can learn about thyroid treatments that work and that don’t and make an educated decision what else you can do if your current hypothyroidism and autoimmune Hashimoto’s disease treatment doesn’t work. 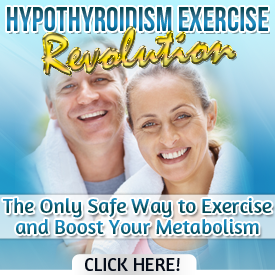 Just get your access here and learn about hypothyroidism treatment that actually works.